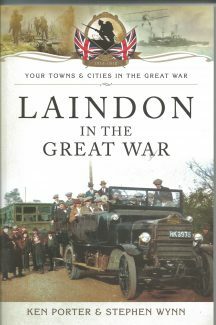 LAINDON IN THE GREAT WAR is a detailed account of how the war impacted on Laindon and the surrounding district, known today as Basildon, from the outbreak of the great War in 1914, to the long awaited peace of 1918. Throughout the country, initially, there was enthusiasm and excitement for the war but this soon changed as vivid reports of the war effort began to reach the populous. Fears of invasion and spies around every corner increased, which resulted in a number of locals being reported, in some cases, for very trivial incidents. While local men fought heroically overseas, two nearby explosives factories provided employment for the town’s womenfolk. The book charts the stories of these women, revealing the dangerous conditions of the factories and the accidents that entailed. As Laindon was a prominent farming area, despite being located only 20 miles away from London, a number of local women, and some from further a field, also joined the Women’s Land Army and worked laboriously for long hours on the farms. Included throughout the book are stories of the heroic men who fought on our behalf. The authors present us with individual’s memories, passed down through families, that bring to life what our men went through and what life was like for those on the home front. 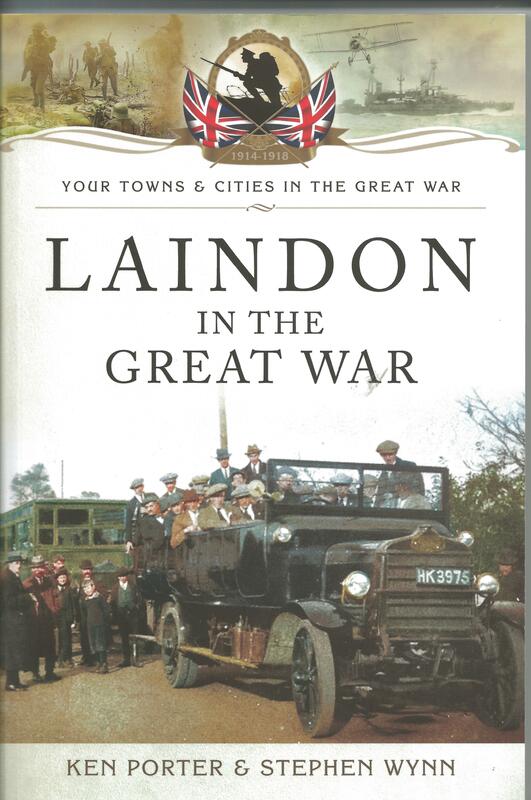 The book is a powerful eyewitness account that allows Laindon’s wartime citizens, who lived through these momentous and catastrophic events, to tell their own stories in their own words. The book is being retailed at £12.99 and can be ordered through the various book shops. It does appear on Amazon at £9.34 plus postage and you can order it through the archive at £10.00 if collected locally or plus postage if it has to be sent via the post. I’ve just ordered it from Amazon, none in stock at the moment but will be delivered when it’s back in stock.